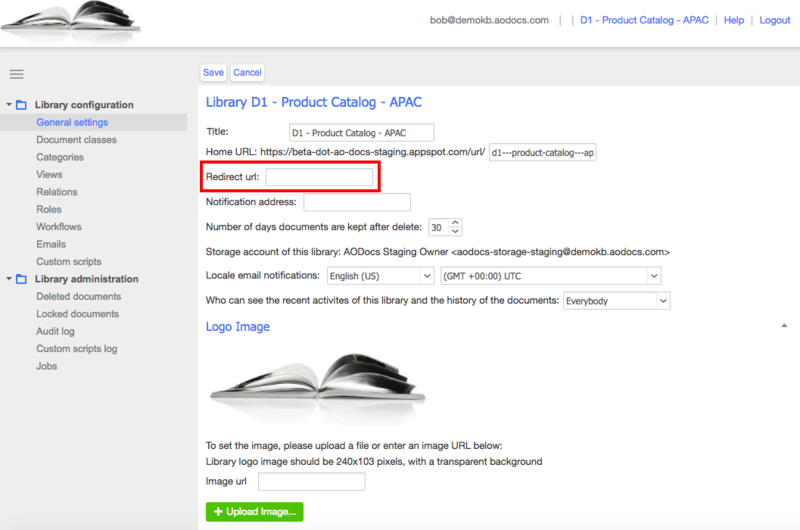 AODocs allows you to automatically redirect users accessing a library to a different URL. For example, you may want to redirect users to a new library that replaces the current one or to a customized homepage like an intranet page. 1. Access the library administration interface. 3. Enter a new URL in the Redirect url field. Note: Once the redirect URL is saved, the current library will no longer be accessible through the AODocs interface. Any users (including library administrators) who try to open the library will automatically be redirected to the redirect URL.